During his 13 years thus far at Border States, George Perlenfein has enjoyed watching the 100 percent employee-owned company grow into a $2 billion organization. Just in the past three years, however, he’s loved watching his little girl grow even more. Family always comes first at Border States. Perlenfein experiences this firsthand whenever the company makes it easy for him and his loved ones to break away from work for vacations or extracurricular activities. Perlenfein adds he feels like he’s part of a caring work family, which has made for an amazing company culture. In addition to having support from his supervisor when it comes to planning vacation time, Perlenfein appreciates the invaluable mentorship he receives on a weekly basis. Border States has built a strong mentorship culture not only within its Branch Support Center (corporate office) in Fargo, ND, but throughout our more than 100 branch locations across the country. Learn more about Border States’ mentorship culture by reading about our unique Distribution Leadership Program, which sets employee-owners on a path to a supervisory role. Additionally, Perlenfein has access to multiple training events within the electrical distribution industry. His background is largely in construction, plumbing and job site safety trades, and it helps to hone his skills by participating in various educational seminars and industry events, such as those put on by the National Association of Electrical Distributors (NAED). Perlenfein’s day-to-day largely involves managing Border States’ Industrial MRO market (maintenance, repair and operations) and fleet of demo trucks, which travel across the country to bring various job site solutions to customers – right where they work. 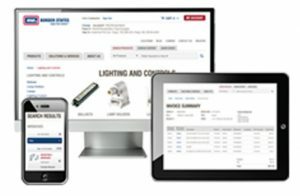 Perlenfein has a passion for showing off Border States’ top-notch products and services. It’s a passion that shines through at every branch. Perlenfein’s supervisor has a saying: “George, how can we make your star shine brighter?” It’s his manager’s way of asking how he can help Perlenfein grow in his career. Having his manager’s support is an incredibly amazing benefit for Perlenfein. Other benefits he enjoys include strong health, dental and vision coverage, community volunteering opportunities and, of course, one of the best employee stock ownership plans (ESOP) in the country. 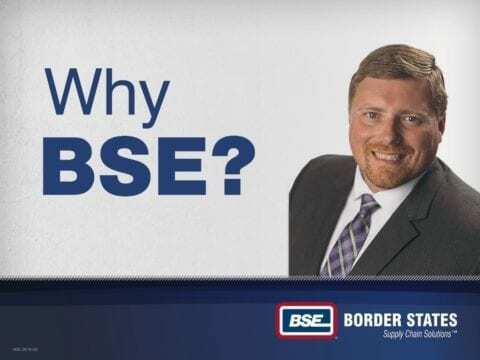 There are a number of reasons why Perlenfein thinks Border States is a great company to work for. Ultimately, it’s a place where his star can shine.